Artist Claude Monet (1840 – 1926) completed this oil on canvas painting in 1869. It measures 130 x 89 cm and is held by the Musée d’Orsay, Paris. 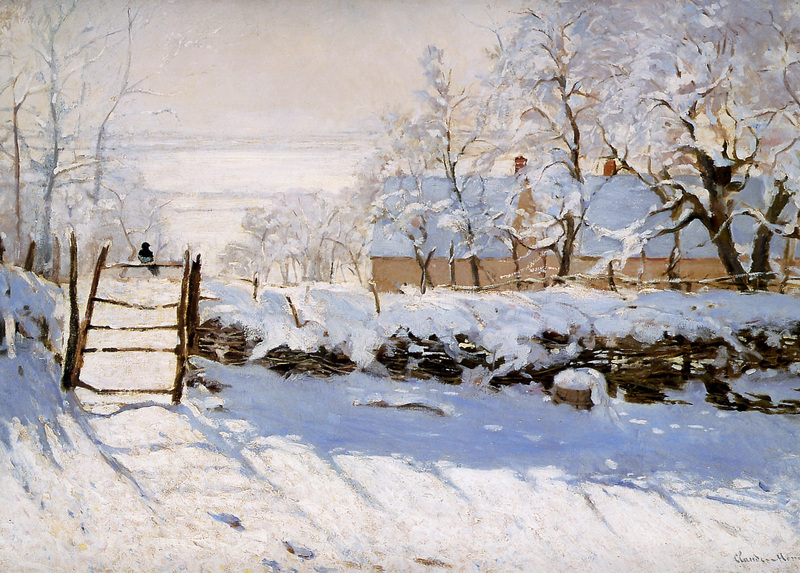 Posted in Artwork, Big Picture | tagged art, birds, Claude Monet, country, farm, fine art, Impressionism, landscape, nature, snow, winter, wintertime. The permalink.